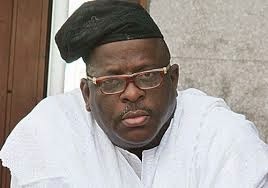 The Federal High Court sitting in Lagos has ordered the National Drug Law Enforcement Agency, (NDLEA) to vacate the resident and other properties of an Ogun State Senator-elect, Buruji Kashamu. The Court made the order on Tuesday while ruling on an application filed by Mr Kashamu through his lawyer, Ajibola Oluyede. The application was for the committal proceedings of the Attorney General of the Federation, Mr Mohammed Adoke and the Chairman of the NDLEA, Chief Ahmadu Giade. The application was filed on Monday. After the filing of the case, Justice Ibrahim Buba summoned both men to appear before him on Tuesday to explain why they disobeyed a court order to maintain status quo on an alleged plan to abduct Mr Kashamu and extradite him to the United States to face charges of drug trafficking. Last week Saturday, the NDLEA laid siege on Mr Kashamu’s Lekki residence and placed him under house arrest. The spokesman of the agency, Mr Mitchell Ofoyeju had told Channels Television that Mr Kashamu would be brought before the court on Monday for the commencement of the extradition proceedings. The NDLEA, however, failed to produce the Senator-elect in court as his lawyers demanded to see the arrest warrant on which authority the agency was acting, but the agency could not provide one. After waiting for the NDLEA to produce a warrant without success, Mr Kashamu’s lawyer proceeded to ask the court to hold liable for contempt of court.